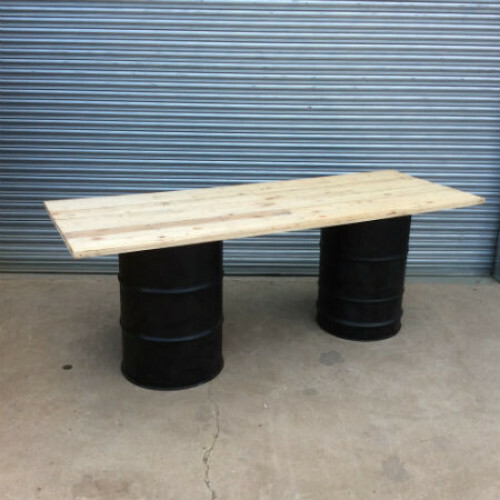 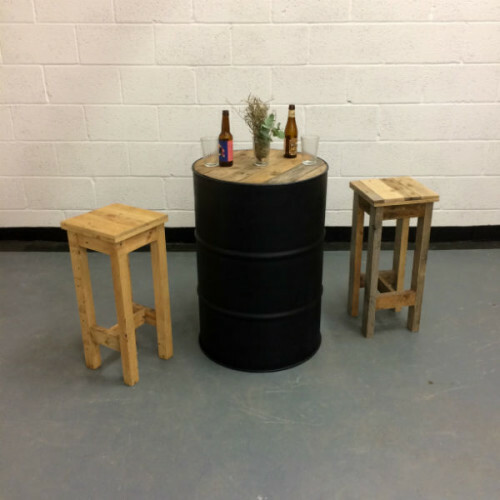 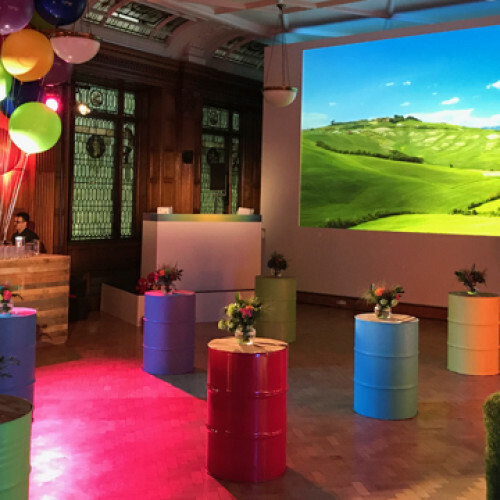 Our unique oil drum tables can be hired out for your event. 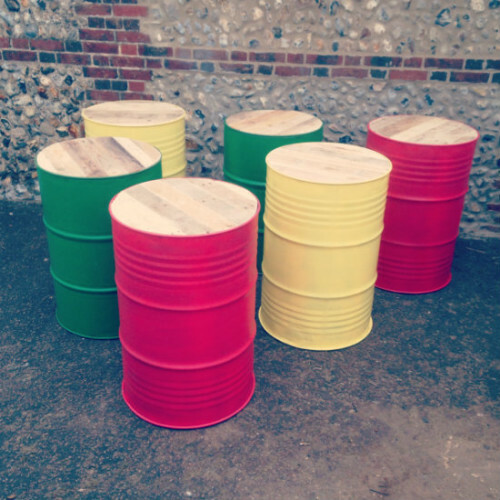 Each drum comes with a beautiful reclaimed timber top. 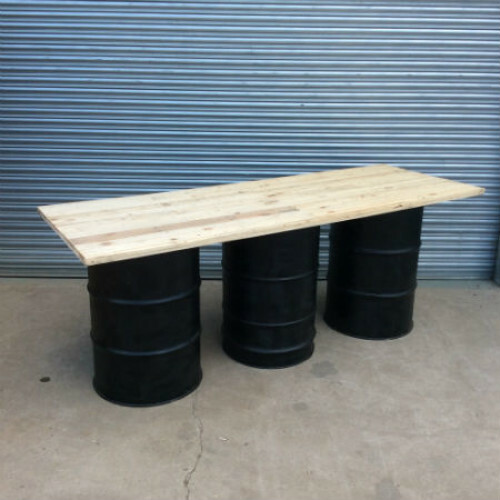 They are perfect as high poseur style tables and would add a bold statment to any event! 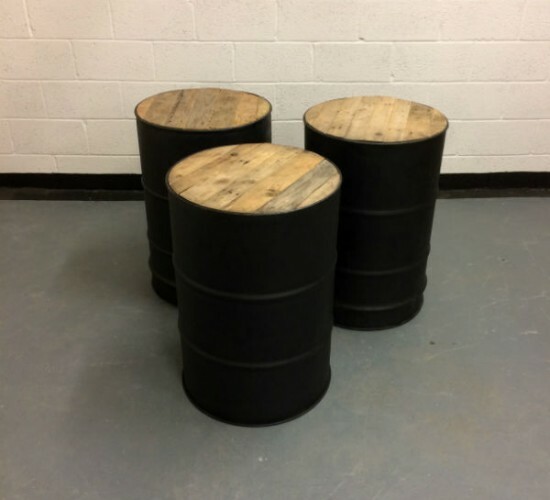 The drums come in black but for an added cost of £20 the drums can be customised in a colour/s of your choice. 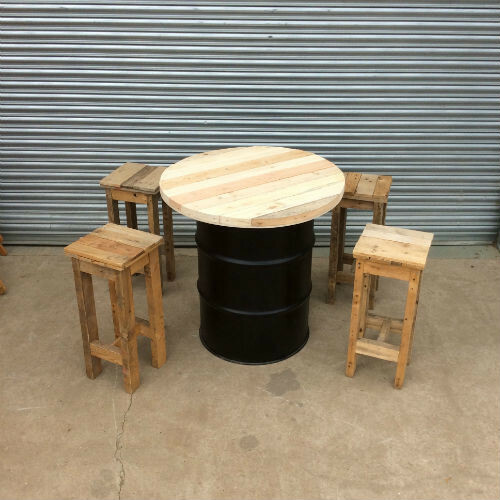 For a look at our bespoke oil drum tables please follow the link below.